Garbo: The Spy profiles the enigmatic counterspy Spaniard Juan Pujol Garcia, the only person to have been decorated by both the Allies and the Axis for service during the Second World War. 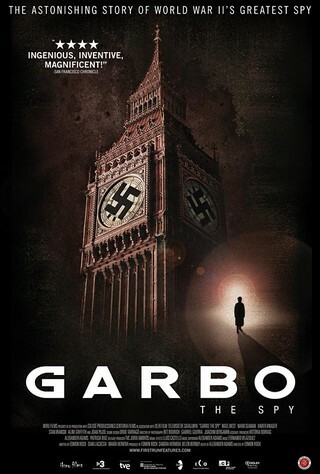 Code-named "Garbo" by British intelligence and dubbed "Alaric" by the Nazis, this self-made double agent earned recognition after taking it upon himself to fabricate a network of phantom agents across Europe and feeding false information to the Nazis. As a result, Pujol contributed to saving thousands of lives for both sides, most notably by misinforming the Germans about the timing and location of the Normandy invasion. This documentary thriller artfully interweaves fragments of World War II propaganda footage, interviews with key players in Pujol's life, and clips from Hollywood films to conjure forgotten and living memories, heroes and spies, secrets and lies.